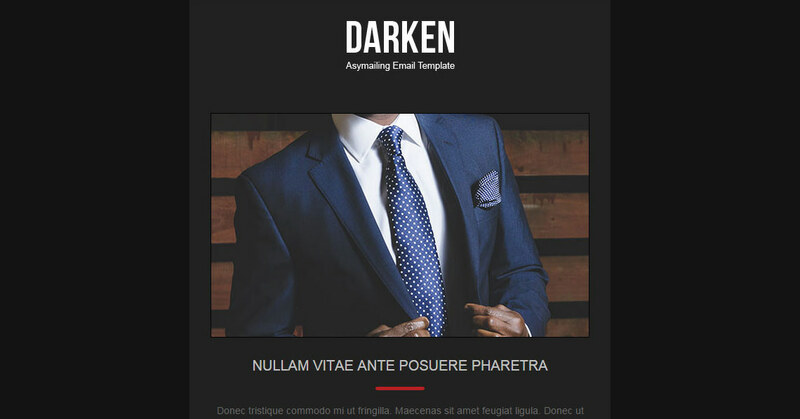 We have released a new template for AcyMailing called RND Darken - it has corporate style in dark / black colour and is the best for emailing subscritpion related to interior design, fashion style, brand products, luxury life and all what is vluable and worth attention. RND Darken comes with 5 additional styles that provide different variations of design and show how the template can be used with various products or services. It is mobile friendly, meet requirements of modern browsers and e-mail readers. Distributive package includes preview images, installation packages, icon sets and free images used in template by default. Do not hesitate to get this nice template and start to do professional emailing with AcyMailing and RND Darken!